My mum's sister is a British citizen. Mum visited her in 2001 and stayed for 3 months, then visited again with me this time in 2007 for 2 months. She was given a visa without any trouble both times. While there, she met an Englishman. They eventually got married in Belarus, our home country. Mum applied for a spouse visa in 2010, but was refused as her husband wasn't able to prove he had enough finances to support himself, my mum and I. He went to British immigration court but lost the case. Mum tried applying for the second time in 2012 after her husband got a better job, but was refused again for the same reason. Her husband went to court again and lost again. They eventually got divorced and he passed away several years later. I'd like to visit my aunt in the UK next year. I'm going to provide my own bank statement with transaction history, my payslips and a letter from my aunt stating I'll be staying with her family and they'll be covering food and living expences. I'll also provide my aunt's financial and property documents. Will this be enough, considering I'm an unmarried 23 year old woman? Should I mention my visa refusals in the application form if I were a minor at the time and this was a spouse visa? 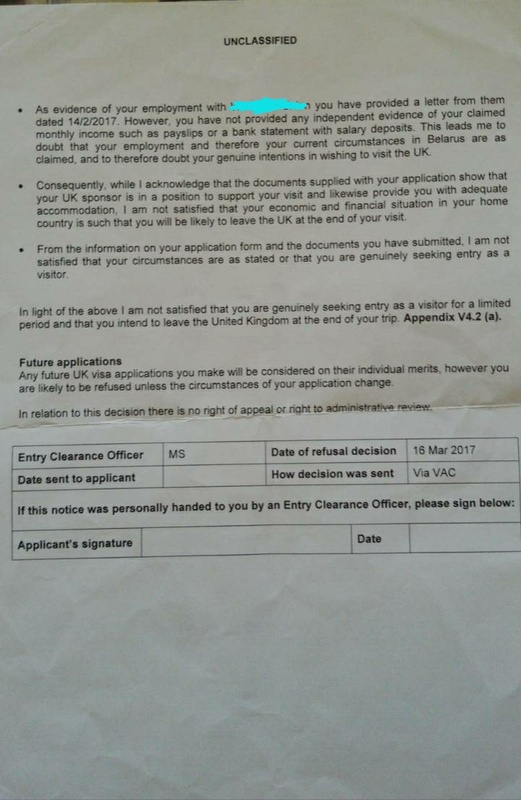 Can my mum try applying for a visitor visa together with me if she provides all the documents mentioned in the refusal letter? Or is our case too complicated to even try without lawyer assistance? Or is our case too complicated to even try without lawyer assistance? There may be quite a few hurdles to overcome, what with previous marriage, immigrant intent (settlement), refusals, failed appeals. If you were a minor at the time, you may be less impacted, but your mother's UK immigration record would be of greater concern. Not the answer you're looking for? 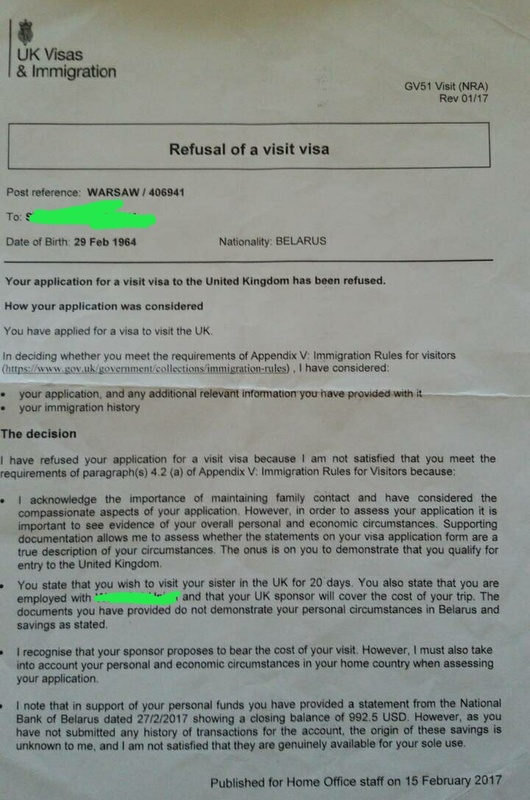 Browse other questions tagged uk standard-visitor-visas serial-refusals belarusian-citizens or ask your own question.